A while back I wrote a blog titled “The New Thing.” The purpose of the blog was to announce something cool I was about to start doing; take movies of natural history subjects. Well, I made the observation, wrote the article, showed off some cool imagery shot at Bosque Del Apache, NMR not 120 miles from my home. Then, I completely forgot about it. That was almost five months ago. Since, then I hadn’t really shot a single cool video to share with you. At least, I hadn’t had anything worth sharing at least until now. 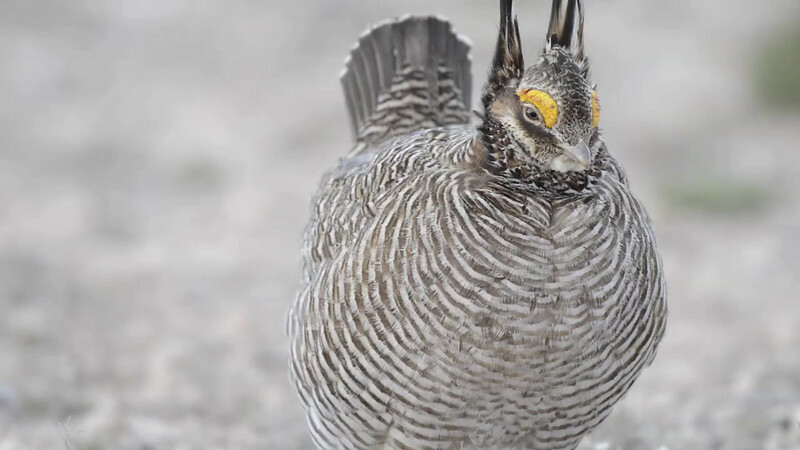 This is the time of the year to head out to Eastern New Mexico and hang with the lesser prairie chicken. I’ve been doing this for the last six years. Unfortunately, this is the first year there won’t be the associated Less Prairie Chicken community Festival. This is due to a substantial drop in numbers of populated leks available for vans to drive to. The bird is under pressure because of a very substantial drought being experienced by Milnesand. While the whole Central United States is suffering through a drought, it’s especially hard hit in Eastern New Mexico. Rain fall is substantially below normal these last few years. And, rain can be directly associated with lek populations. This year, it’s really bad. I’m still here in Milnesand which means I’m shooting instead of helping with the festival. Just this morning I made this video, among the first ever I’ve made. I shot it with my Nikon D800 and new Nikon 80-400mm f/4.5-5.6 AF-S VR G. I might get around to doing a review on this lens in my blog. In the mean time, just know the lens is very flexible and very effective for what it does.